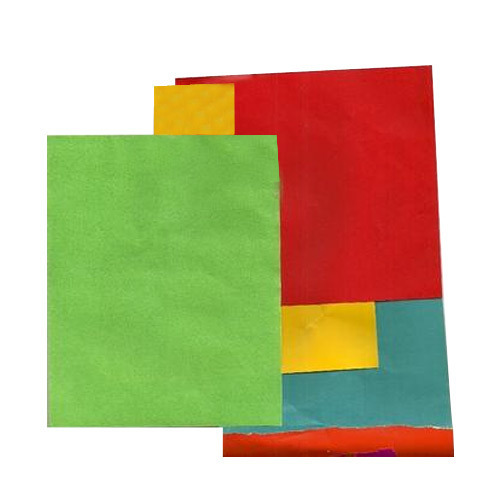 We are engaged in offering a wide range of Colored Glazed Fancy Gummed Papers which is available in various attractive colors such as brown, blue and red. Procured from reliable sources, these can be availed in diverse bases, such as plastic, paper and fabric. Established in the year 1967, at Mumbai, (Maharashtra, India), we, “Gandhi Industrial Corporation,” are engaged in manufacturing, exporting and supplying a high quality range of Gummed Stamp Papers, Gummed Sticker Label Papers, etc with the brand name "Silver Seal & Clintack". With high quality and utility based products, we have emerged as one point solution organization to meet all your Stamp label paper demands. Long term archival characteristics are excellent quality is the features for which these are extensively demanded among clients. Also, the information printed on the paper does not fade easily and early when properly stored. With our timely and prompt delivery policies, we are widely appreciated by our huge client base. Our quality inspectors make sure that each lot is individually tested so that the only flawless range leaves the premises. Our well built warehouse unit is segregated into various compartments, which helps us in the easy retrieval of the products.